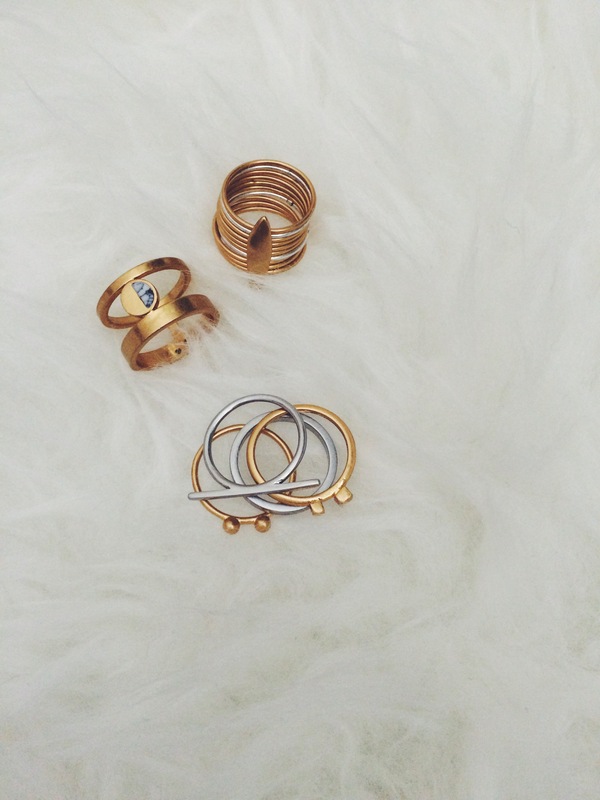 I’m definitely having a moment for Madewell jewelry. Though I find them beautiful, I’ve never tried out their jewelry collection until recently because I’m pretty plain when it comes to wearing them. 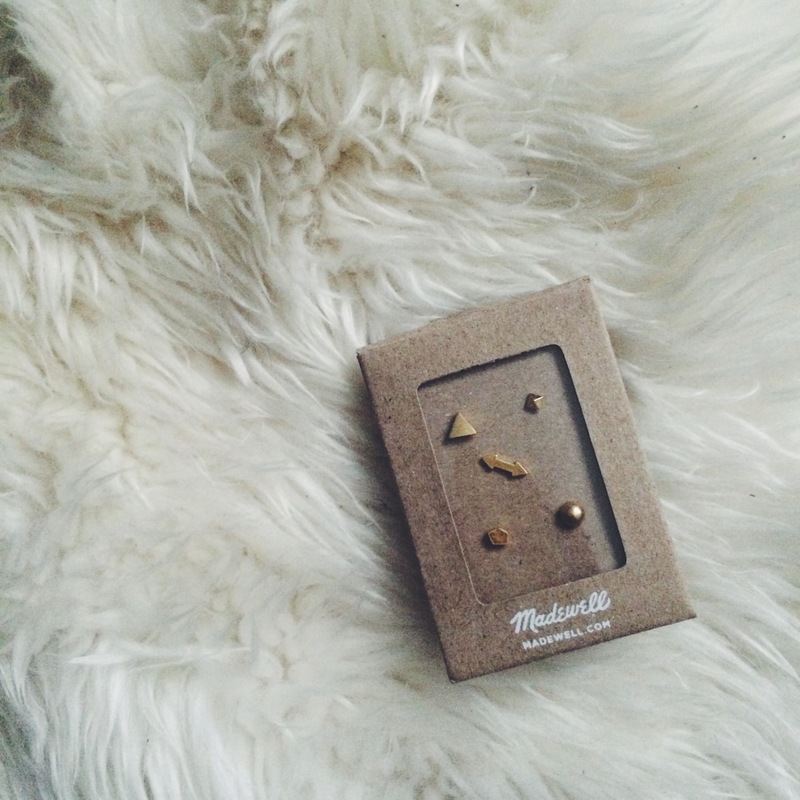 But after seeing over and over again all the beautiful pieces Madewell puts out, and being completely in love with the look and quality of the earrings I got from there, I thought I should give something else from Madewell a try. I love the look of rings on hands because they just make everything look more elegant. Rings are also my prefer accessory because it’s something I can comfortably wear daily without it being caught in my hair, scarf, sleeves. I picked up 3 (they were on sale, I couldn’t resist) rings from Madewell last week, and I have to say I’m even more impressed with their jewelry now! They’re so beautifully made and does not give you the green stain on your hand, I love the variety they offer and have been wearing the 3 I got nonstop since I got them. 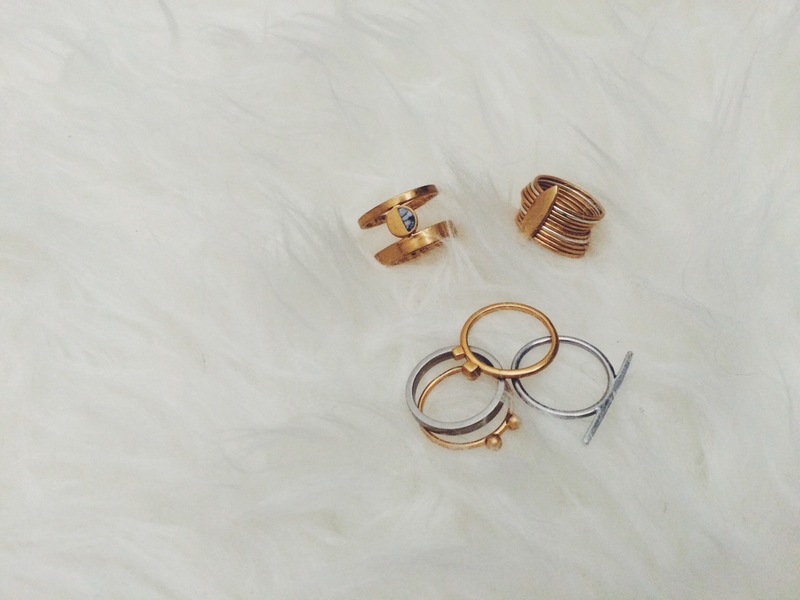 I’m the type of person that likes having staple pieces especially when it comes to jewelry, but these rings make me wish I have more of them so I can play mix and match everyday. 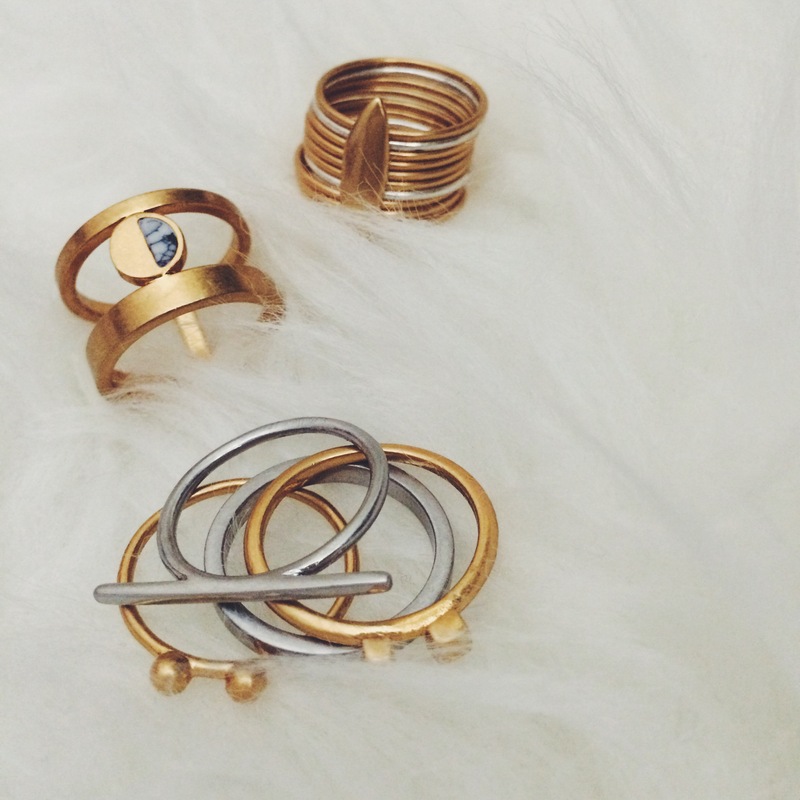 I’m having a moment with Madewell‘s jewelry range right now and I especially love all the minimalist offerings. I recently got my hands on these tiny earrings, and I just can’t stop looking at them. I have 5 ear piercings so this pack was perfect for me, I love how they’re all different but since they’re so so tiny they don’t fight with each other when wearing them. There are so many more options ranging from necklaces, bracelets and rings on Madewell, it makes me wish I was more proactive about wearing different jewelry everyday, but for now these 5 and the necklace given to me from my parents will be my staple for the foreseeable future. I am however in search of some good quality rings (no fading, no color transferring, no bending, etc) to add to my collection as it’s something I really enjoy wearing! So if you have a favorite place in mind, let me know as I’m in need of some suggestions!